This book is a concise guide to navigating events as an introvert. Introvert or extrovert, we all need support and connections with our peers to build success. As many as a third of leaders lead at a distance, and the number is rising. Internationally recognized leadership guru Kevin Eikenberry (Remarkable Leadership book and podcast) teams with his Remote Leadership Institute co-founder Wayne Turmel to chart all the ways that remote leadership differs from leading in-person. Culture is the foundation for success in any organization. It's no coincidence that the companies with the strongest cultures not only consistently top the leaderboards of best places to work but also have the most engaged workforces, are the most in-demand employers and have the strongest financial performance. Remote working is the new reality, and transactional work – provided by freelancers, contract employees or consultants – has increased exponentially. It is forecast that as much as half the labor force will be working independently and virtually by 2020. As a digital nomad, finding the right neck pillow for those long flights is vital! This unique options caught our eye. The double-walled construction keeps contents hot for 12 hrs and cold for 24 hrs. It's the perfect water bottle for hot summer hikes and an excellent coffee mug for traveling and commuting. Its high quality ring ensures no leaks no matter how you shake it. It is BPA-free and resistant to bacteria and odors providing you with fresh drinking water. When you travel and work remotely, sleep is vital. Be a well-prepared digital nomad with this top-of-the-line sleeping mask. Wake up feeling refreshed and well-rested, enjoying perks like increased energy and a sharper memory. Our silk sleep mask helps you experience a better sleep cycle by providing complete darkness any time of day to ensure deep uninterrupted sleep. Our mask is ideal for men and women. Don’t waste your money on water bottles! With the LifeStraw Personal Water Filter, have confidence when drinking from the nearest faucet, river or stream. Flight journeys are an important rest time for someone working remotely and spending a lot of time traveling. Hailed as one of the best sleeping kits for travelers, The Everlasting Comfort 100% Pure Memory Foam Neck Pillow Travel Kit is a must have for digital nomads. Ultra plush velour cover features an easy to use zipper and is machine washable. Ideal for sleeping in your seat during long plane flights or sitting upright in any type of chair. When you travel quite often outside your country, charging your devices might be a headache due to the different standards of charging pins used around the world. You digital nomads will love the BESTEK Grounded Universal Plug Worldwide Plug Travel Adapter as it's the best travel converter and power adapter in the market. ncludes, standard Type 3C for China, Type FR for France, Type UK for UK, Type JP for Japan/USA, Type IN for India, Type BR for Brazil, Type IS for Israel, and Type IT for Italy. Remote workers know that rest and travel don’t go together better than anyone, especially their well-rested counterparts who work from home. But the best travel earplugs can bring them together in harmony. MOLDEX Sparkplugs Foam Ear Plugs Blocks out all manner of noise while protecting your hearing allowing you to rest peacefully. Seems like everyone is offering the best travel neck pillows these days, but why take a chance with an “unknown” brand? Cloudz is one of the originators and innovators of the travel pillow so that remote workers who love mixing work with travel can rest easy. We have been here for the last 15+ years and will be here for many years to come. 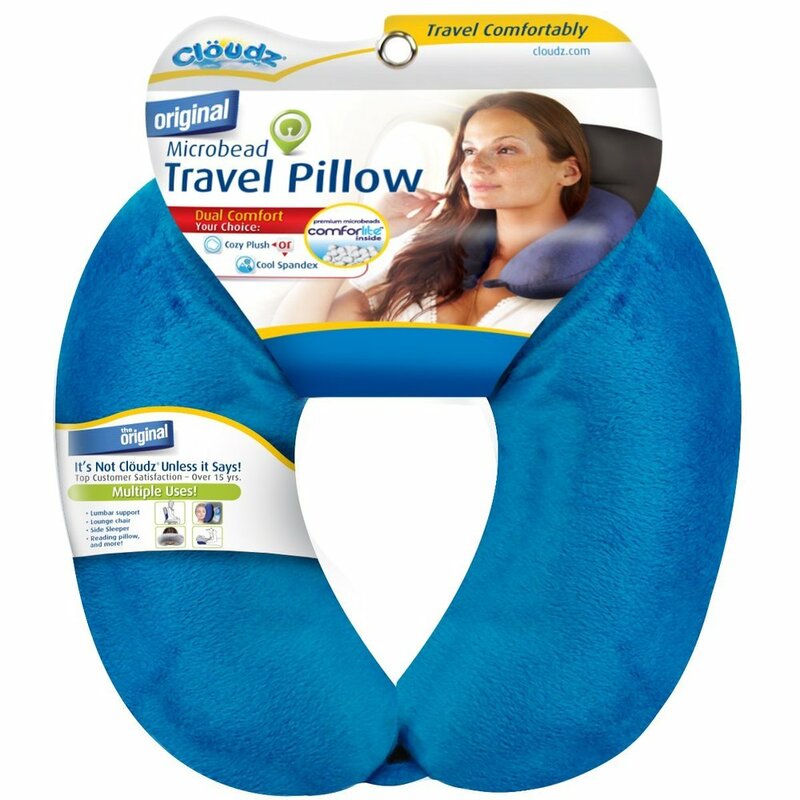 The Original Microbead Travel Pillow by Cloudz! They will not crush easily like the other pillows on the market. Who says working remotely doesn’t allow fitness to be a part of your journey. 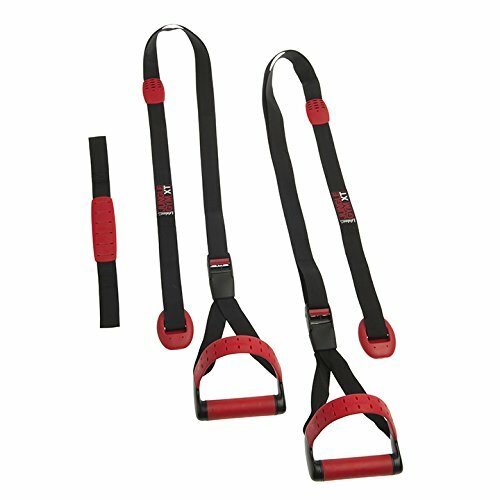 Take your gym with you when you roam the world with one of the best body weight training systems - The Lifeline Jungle Gym XT, Split Anchor Body Weight Suspension System. Whether you are a full blown digital nomad or merely traveling short-term while working remotely, losing your phone is a major buzz kill. This gadget can help protect you from yourself. Protect yourself with this Bluetooth phone tracker by Tile. If you are a digital nomad, your luggage is everything you own. Nothing can quite destroy a journey like losing your luggage. The LugLoc Luggage Tracker: The Worldwide Smart Lost Baggage GSM Locator is a handy product if you are a remote worker traveling frequently. Automatic Worldwide Tracking with Cell-tower Connected Technology. When you need a hotel, flight, and rental car book together on Booking.com and save! This booking engine is trusted by travel industry professionals around the world. We love Airbnb! Take your cultural adventures to the next level, by avoiding western hotel chains and staying with locals. Options for every budget. Working on the road can be noisy. Sometimes you want to take the audible edge off without giving up your hearing sense completely! If that sounds familiar then these are the earplugs for you! EarPeace turns down the volume without distorting the sound. These ear buds deliver crisp, clear sound at a safe volume. CMade from soft, medical grade silicone so comfortable you'll forget you're wearing them. Universal fit, reusable and hypoallergenic. EarPeace comes in multiple skins tones and disappears in your ear. This hearing protection is the required accessory for your party. Three chamber, milled aluminum case keeps your three EarPeace ear plugs safe and clean. The precision engineered filters safely deliver industry leading performance. Travel, work, and document! Whether you are traveling along or with a group, this selfie stick will help you document the most meaningful moments. 1 screw tight mount that is extendable to 4.2" - Eliminates phone slippage or drops. 1 spring mount with additional mirror attachment for your rear HD camera - No need to look at phone screen. Fits all large smart phones, GoPro, & Digital Cameras Quickly. Dimension: 18.5x2x2". Weight: 10 oz. Bluetooth remote with rechargeable battery, 300 Hours Standby, 1 Hour Full Charge. Staying hydrated while you travel is top priority. Yet, planes, buses and trains can all deliver a bumpy ride from time to time. This narrow mouth water bottle reduces spillage on the go! Whether you are camping or staying in an Airbnb, minimalism is vital for success as a digital nomad. Pack light and stay fresh with this portable clotheslines. Stainless steel material that makes it strong, durable and rust retardant. Black clips that restrain the 12 clothespins from sliding. Adjustable clips can be moved smoothly from left to right. Expands to 10 feet and retracts to save a lot of space when not in use. Steel hooks at both ends that can be attached anywhere: hotel, bathroom, laundry, RV, boat, balcony or even attached on trees. Comes with a full year of hassle-free replacement and warranty thus ensuring a complete peace of mind to the buyer. In the case of faulty or malfunctioning parts, one can get immediate replacement or refund. Nothing will ruin your travel plans like lost plane tickets, passports, credit card, etc. 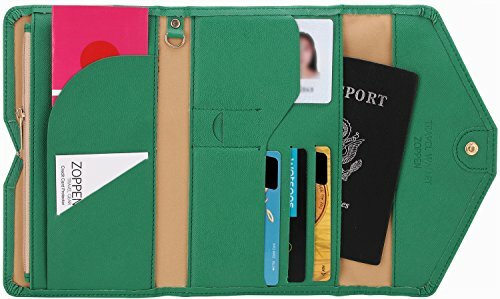 Stay organized in style with this travel wallet. Keep Identification-Thief away from you and protect your personal information with inside RFID blocking shield material under frequency 13.56 Mhz. It's always a good idea to bring your own towel when traveling, but a wet towel has no place in a suit case. This fast drying Turkish towel is a great solution! Very compact, fits right in your travel bag.